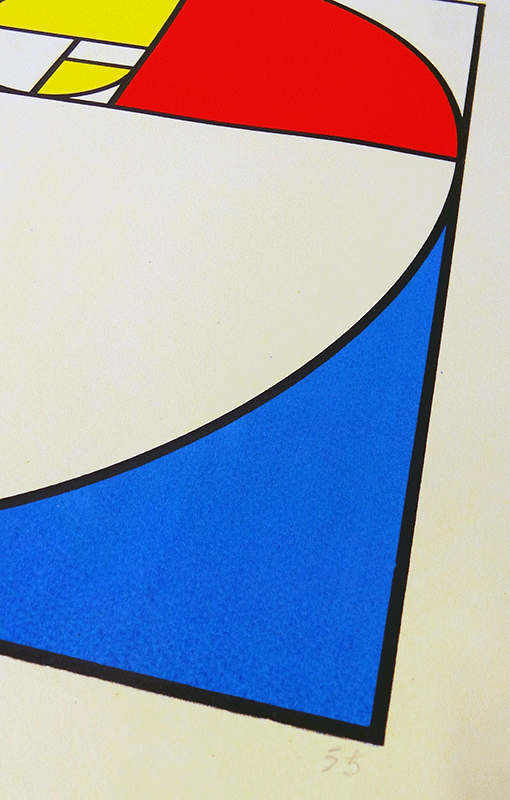 A limited edition of 18 four colour hand pulled screen prints. Inspired by the work of dutch painter Piet Mondrian (1872 – 1944). Read the full Golden Section blog. 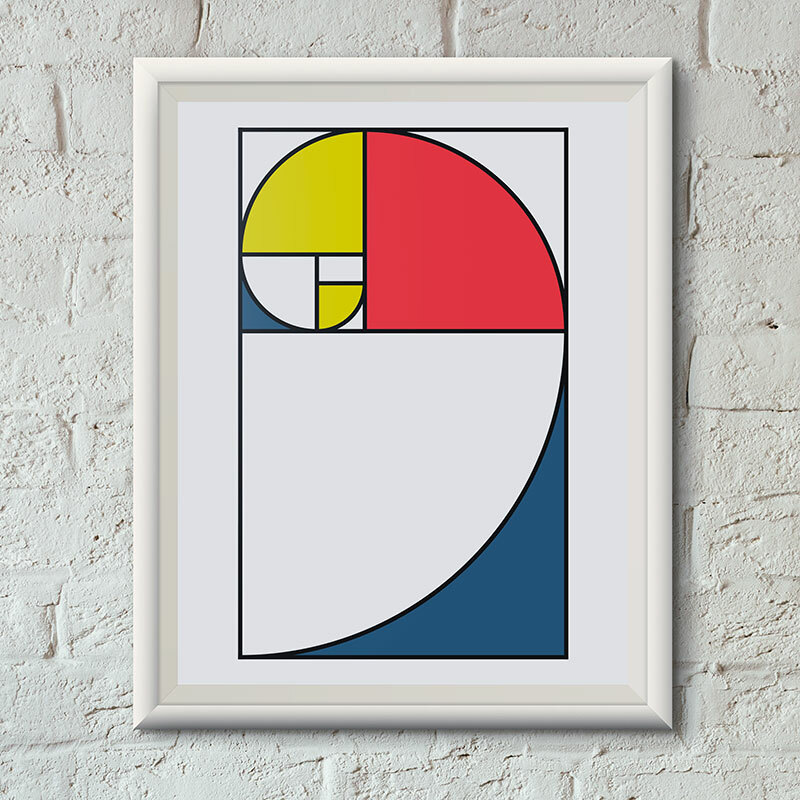 The golden section, also referred to as the golden ratio, divine proportion and the golden mean is a number approximately equal to 1.618. Represented by the Greek letter phi (Φ), it is sometimes thought to be the most pleasing shape to the eye. 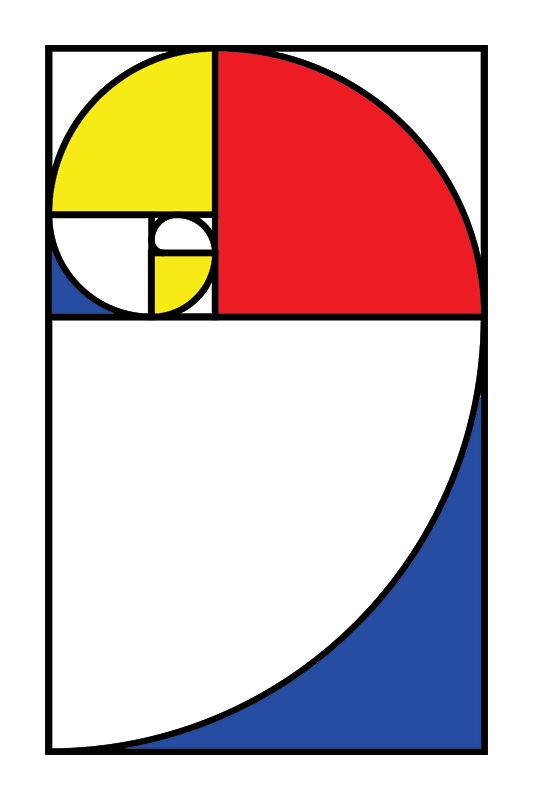 Φ proportions are found in design, architecture, art and sometimes in nature. Structures such as Notre Dame, the Great Pyramids and the UN headquarters have been based on Φ. In art you can find its proportions in Da Vinci’s “The Last Supper”, Michelangelo’s “Creation of Adam” and Mona Lisa. You can find phi underlying many product logos like Pespsi, Atari and Toyota and in product design – from the new VW beetle and Aston Martin’s redesigned DB8 and Rapide S to Timberland boots and pretty much anything that Apple does. In the natural world – the body proportions of living beings, the growth patterns of many plants, insects and the model of the universe. To list just a few examples.